This review originally appeared in the January 2001 issue (#149) of The New York Review of Science Fiction. After reading the first 50 pages or so of Jack L. Chalker’s Balshazzar’s Serpent, you find yourself in something of a shock. 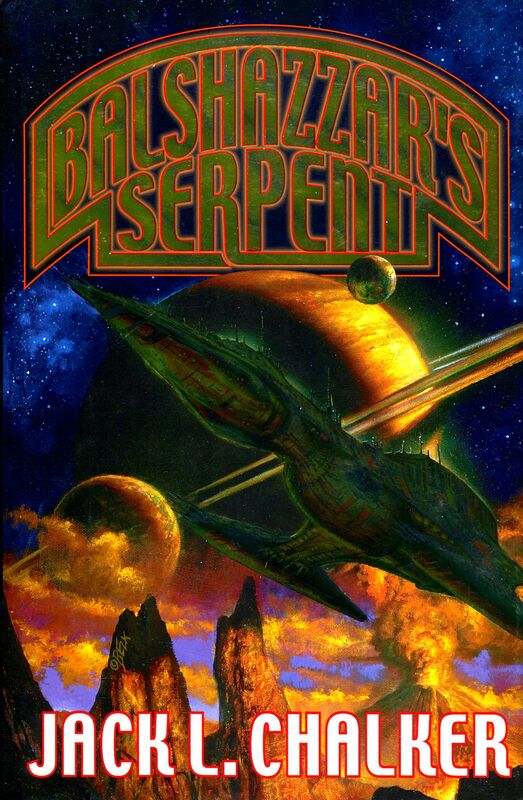 Here you are reading a book published by Baen, the leading publisher of militaristic sf, complete with the obligatory cover art denoting it as part of the militaristic subgenre, and there isn’t even the threat of a battle looming on the horizon. What gives? Well, in religious terms, patience is a virtue if you’re looking for the standard Baen fare of a macho military leader taking a group of hardened men into glorious battle in which they utterly smite the enemy and then move on to their next conquest. After a lot of setup, that finally happens around page 150.